Cannabis continues to prove it’s miraculous healing powers time after time, this time helping free Bruno Delgadillo from his epilepsy. After suffering upwards of 300 epileptic seizures per day, this young boy is finally finding relief through medical cannabis. After his home state voted to legalize medical cannabis during the last elections, Bruno Delgadillo’s mother no longer has to face arrest just to acquire the medication he needs to have a basic quality of life. While she is certain the risk was worth the reward, she has received her own type of relief thanks to legalization. Bruno Delgadillo is finally able to control his tiny body from the constant tremble of seizures. Since birth, he has been plagued with epilepsy and heavy doses of many medications that his mother, Jacel, says greatly hindered his ability to function. I would sleep with him, holding his hand, and you feel this little body just shaking helplessly. He has been through so many medications that had put him through vegetative states. We were waiting for more seizures and he was just sitting there, playing with a toy. After introducing a potent medical cannabis oil into his treatment, Bruno is now seizure free. 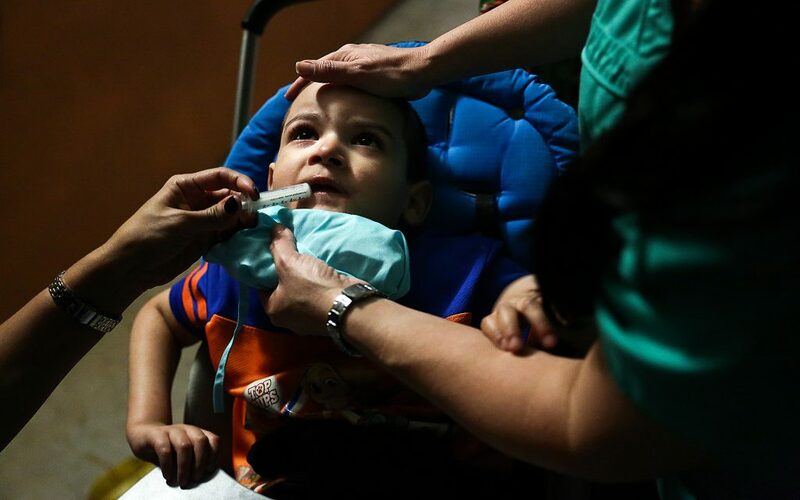 When Jacel began administering the medication to her son, it was still illegal in their home state of Florida. Since the November elections, and Florida’s decision to legalize medical cannabis, it has become much easier for her to obtain the oil her son desperately needs and she can do so without risking arrest. I don’t care what anybody says, I would rather have my child on medical marijuana, and have him be a child, than seeing his body seize and tremble every other minute. Like countless other children being treated with medical cannabis, Bruno’s story of healing is one more testament to the miraculous capabilities found in the medication. Rather than using chemical-rich pharmaceutical drugs, a natural remedy is now offering relief to more than half the county.